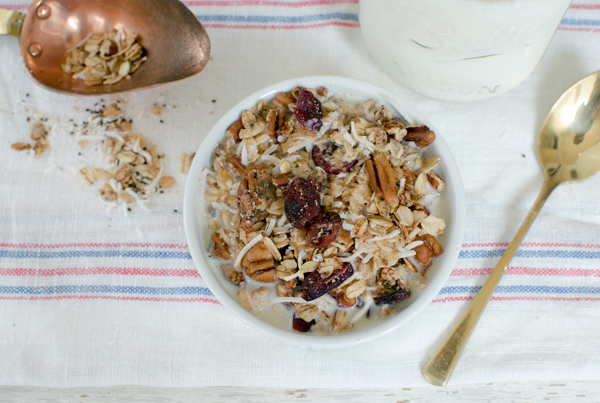 An easy protein packed chia seed granola recipe, also packed with fiber and omega-3’s! It’s the perfect way to start each day. 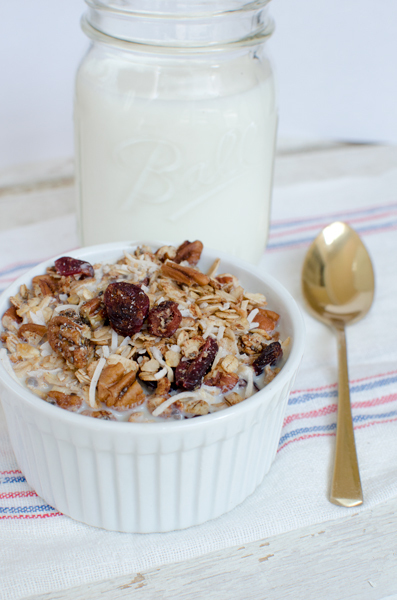 Today I want to share another recipe for homemade granola with you. You’ve probably heard that breakfast is the most important meal of the day. It’s true! An important part of your important breakfast is getting healthy protein so your body has the energy to do everything you demand of it. 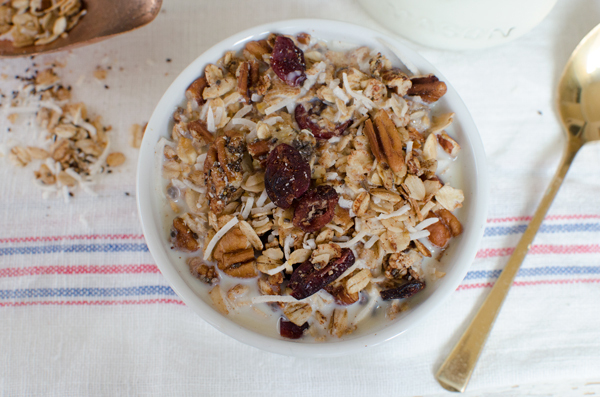 Thanks to the pecans and almonds, this granola is protein packed. 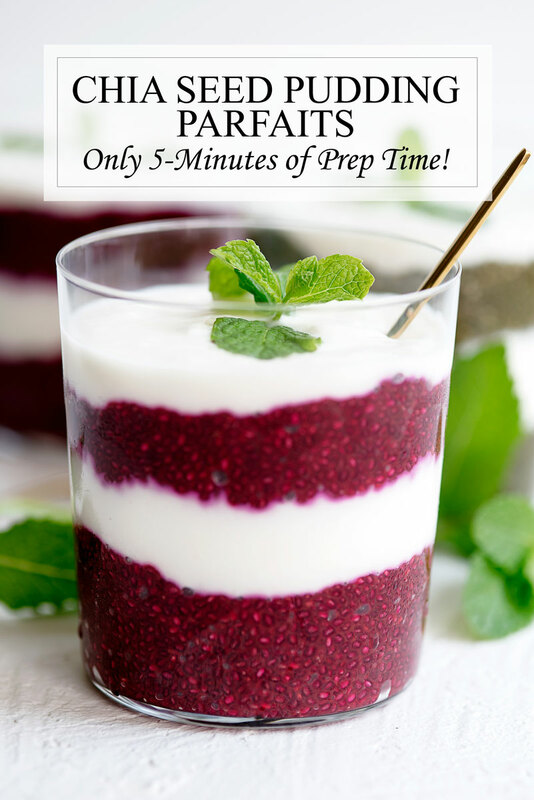 It also features one of my favorite superfoods – chia seeds. These little wonders are rich in omega-3’s and fiber. This means they will help your heart and keep you feeling full all morning long. Can you put chia seeds in granola? If you’re wondering if you can put chia seeds in granola. The answer is, definitely. Unlike in chia seed pudding, chia seeds in granola don’t swell up and get squishy. Instead, they develop a subtle crunch when baked. It adds a really nice texture to the granola and of course the awesome health benefits! Every time I share a granola recipe, I give a little homemade granola spiel. It goes something like this – granola is one of the most flexible and most forgiving recipes ever. It’s easy to make substitutions based on your dietary needs and what you have around the home. If you are gluten intolerant, make sure you buy gluten-free oats. If you are vegan, use maple syrup instead of honey. You can use any type of nut from pepitas to walnuts and any type of dried fruit. There are a few secrets to perfectly toasted granola – make sure you spread the granola out on your baking sheet evenly and not too thick. To get clusters of granola, after removing it from the oven when it is still warm, use your hands to press it gently into clumps. 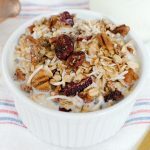 Combine the oats, pecans, chia seeds, cinnamon, nutmeg, and salt in a large mixing bowl. Spread evenly on a baking sheet lined with foil or parchment paper and bake at 300F for 30 minutes, stirring halfway. Toss, sprinkle with the shredded coconut and bake another 5 minutes. 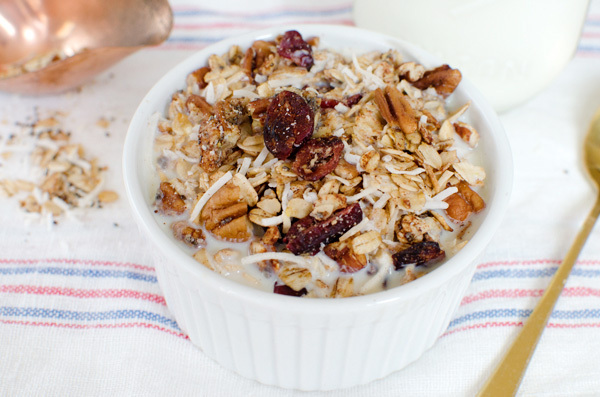 Obsessed with this granola recipe! I’m a private chef and I made this for some clients and they loved it. Thank you so much for sharing! 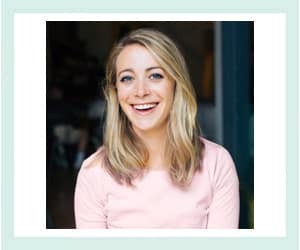 Hooray that makes me so happy! Thanks for letting me know!